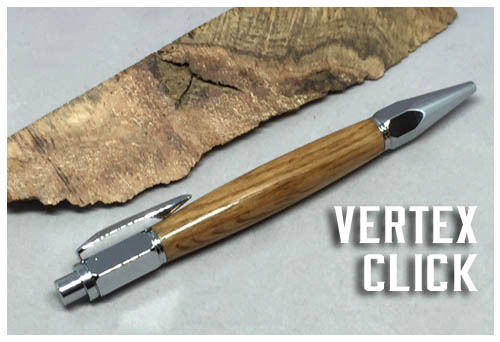 The rugged, ready for anything hex shaped pen won't have trouble surivivng any tough guy's use. Its refined, faceted, hexagonal nuts and bolts design will surely impress. This pen has a super quiet, smooth acting click mechanism. The pen uses a Parker style refill. 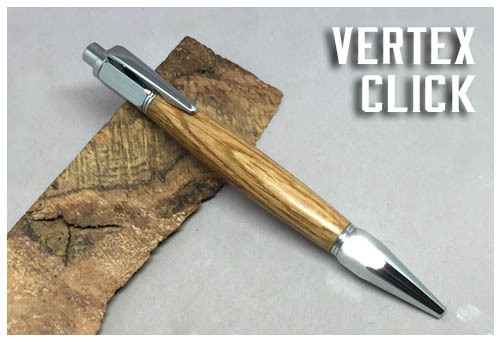 Available in chome (other hardware styles coming soon), and your choice of wood "flavor."